Vasari Country Club is a bundled community located in Bonita springs Florida at the limit of North Naples. Bundled means that each resident in Vasari are members, there is no additional equity to join the club. 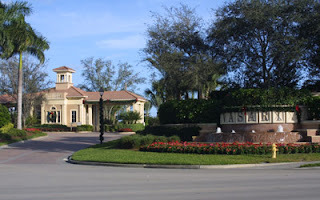 Vasari offers terrace condominiums, carriage homes with 1-car garage, large coach homes with 2-car garage, single-family homes and estate homes. The sales activity has been pretty strong this year so far as 48 properties have been sold since January 1st 2011. The inventory is shrinking every month. Please contact me if you have any questions or are interested by buying a property in Vasari. I really like all the property as every one is different from one another.So,I suggests the interested person to invest.Thanks for sharing information. Thank you so much for taking the time to share such a nice information.